It's been a while, how are all of you guys doing? The weather is getting so much better, which makes me even more excited for the spring lines coming in! I have been feeling down recently, I have to apply for placements as part of my course and I have been rejected from quite a few of them. I got through to one of them but got rejected after the assessment centre. So that's an acheivement I guess, since alot of people are still waiting to hear back. It's just a bit disheartening. At times I feel like giving up, but I am going to carry on as I am sure I will get a placement. Back on the topic of fashion, this week's Lust List is a bit late(sorry). I am just going to be posting individual items instead of outfit looks, because it was hard to do it for every item. Check out my how to posts which will feature outfit ideas. Also I am going to buy a tripod from Amazon as it is always hard to find somebody to take picks of me,so hopefully there will be more OOTD and the long awaited haul vid. This has to be one of my favourite list to date. I already purchased the ring yesterday, so it shouldn't be on the list really but I thought it would be nice to share. I first saw similar wedges on Nadine from All that Style . These wedges are perfect, but for over £500 they are too steep. Ohh a girl can dream! it looks like I'll have to check out Primark and New Look. The blazer and the wedges are a little out of the ordinary for me, but they are very unusual and chic. 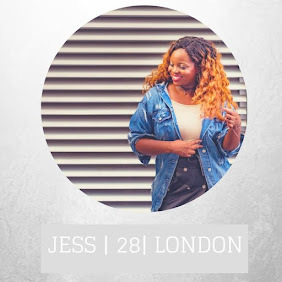 Just a quick post to tell you lot about ForeverSweet89 and her blog ...And Other Stories. As a new blogger she brings a fresh perspective on fashion and beauty. You guys should check her out she is having a giveaway. Just a quick post to show you an outfit from a few evenings ago. I am still finding placements and doing uni work. I know I said I would be back on the 28th,but I couldn't keep away. Oops sorry about the shirt in the second pic. Hope you guys liked the look! I'm gonna take a little hiatus till the 28th because I need to catch up on work but I will be back soon! You all know I love statement jewellery, so when I stumbles across eaburns on asos marketplace I nearly fainted. The designs are unsual ,fresh and edgy just what I like in a piece of jewellery. Lizzie Burns uses triangles and REAL leather in her pieces. Also everything is ethical as she re-uses saddlery leather scraps! These pieces are my favourite from the whole collection, they come in a variety of colours and shapes to suit your personality.Check out the small triangle necklace, medium triangle necklace and the large triangle necklace. My favourite colour has to be the white and red necklaces. I am gonna snap one of the small necklaces next week.. hopefully there are some left. This is another one of my favourite pieces from the designer. It is just so unusual and colourful. This piece retails at around £22 and uses batik cotton. It is available here: Batik Upholstered Triangle Necklace. ***Disclaimer I wasn't paid and/or I didn't benefit in any way for doing this product review. I just wanted to do a quick post on China Glaze's crackle glaze! Now I know the whole shattered nails look is all the range thanks to Barry M's Nail effects and O.P.I 's black shatter. However, the novelty wears of when you can only experience the effect in only black. China Glaze has changed that now they are offering the effect in DIFFERENT colours! check out their website. Have fun experimenting! Anyway, the whole point of today's post was to share my favourite beauty buys with you guys. 1. Sleek Blush in Flushed~ I started wearing blush this summer. After a lot of research and a trip to my local Superdrug, I found this baby. I love its cheap( only £4.29) and VERY pigmented! I wear this blush every day and it gives a rose pink glow to my cheeks. I highly recommend Sleek blushes for all skin tones. 2. Maybelline Colossal Mascara~ Looking for that perfect mascara is always a challenge, so when my friend recommended this mascara to me, I was pleasantly surprised at the effect it had on my lashes. In my opinion, this mascara lenghtens the lashes and gives them volume at the same time! The packaging is bold and bright and adds to the appeal. It cost £7.19 so if you are looking for an affordable mascara that is effective, this is the brand to go for. 3. Barry M Liquid Eyeliner~I am a girl who loves a good winged eyeliner, so when looking for that perfect tool I came across Barry M. Barry M is a brand which has always been good to me, I am a huge fan of their nail polishes(nail effects <3). The superfine brush makes application very easy, so it is especially good for novices. Also it is very black when it is applied and lasts nearly all day. It is a bargain at £4.79! However, if you are not confident with liquid eyeliner yet,Barry M's kohl eyeliners are pretty good too. By the way Superdrug are doing a promotion where you get a free khol pencil when you buy 2 Barry M items, I know where I'll be headed Saturday. All you have to do is pump the cream, massage it onto your face and rinse the muslin cloth in hot water and remove. Simples! it is £13.25 for 1 on the website, but I got mine from (QVC thanks Mum), they usually have deals so check it out. ***Disclaimer I wasn't paid and/or I didn't benefit in any way for doing these product reviews. The tops from look 1 and 2 are meant to be worn tucked in. Hope you guys liked the looks!